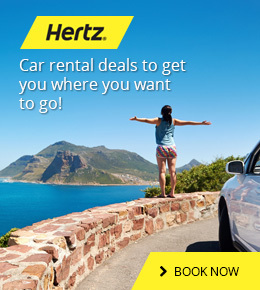 Hire a car or a bus today for your tour! While travelling to the different cities in India for whatever reasons, assistance is something that one can always look for. This universal rule applies perfectly when you are on the trip of the state of Rajasthan. It is a land where there are lots of places to visit for tourists and therefore it is always better to hire a personal car or taxi that can offer great comfort and easy movement to the visitors. You can move to different places when you have your personal vehicle to move. There are many transport companies that provide assistance to the tourists visiting India. Whether in groups or people travelling individually there are agencies that provide cap facilities to people travelling to different cities. The type of vehicle can be chosen on the basis of number of travelers. The service providers keeping the number of people in mind offer the best of the options. Depending on the nature of your vacation, there are different types of services that can be provided to you by different agencies. If you are in a city for a vacation, you can hire a car and if in groups, you can hire a bus which can make you stay with you throughout the tour. Innova or a bus is more suitable if you want to visit a place with your family for vacation. They can accompany you throughout your trip and can provide much needed assistance. In some cases, there are people who visit the city on a short notice for a short period of time, say, for a business meeting. Providing a car is a job of such agencies. They provide the 11th hour assistance to people who visit the town on a short notice. Despite of that, you can also hire some cars from them for Royal weddings. Royal Wedding demands high end cars and they can provide you one. You can hire a car or a bunch of them from the agency. How are where to hire? There are different companies which lets you pre book the cars that you need for your assistance. Other than that there are people from the agencies just outside the airport to help you book whatever that you require for your journey. There are various packages that are provided to the people by these agencies and can be booked for a single or a group of days. Hiring a car and a driver also has two scenarios, i.e. hiring them full time or as according to your convenience. If you need to travel almost all the time, a full time assistance would be feasible for you. On the other hand, a timely need to an automobile calls for a half time assistance from the company which can provide you the car only for a specific time of a tour. These agencies help you choose what is best for you by just knowing the nature and the cause of your tour.